Click the banner above to learn more about JPIC. The Office of Justice, Peace, and Integrity of Creation coordinates the advocacy efforts in the United States of the Missionary Oblates of Mary Immaculate on behalf of the interests of the poor and abandoned in the U.S. and 65 countries where the Oblates are in mission. Based in Washington, DC, the primary activities of the US Province JPIC office, which includes the Oblate Ecological Learning Center at Godfrey IL, are advocacy, formation, education and resourcing oblate communities and collaborators for their missionary activities. Advocacy is usually directed to those responsible for decision making in the public sector both domestically and globally (World Bank and IMF) and to the leaders and directors of public companies whose shares are owned by the USP or the OIP. 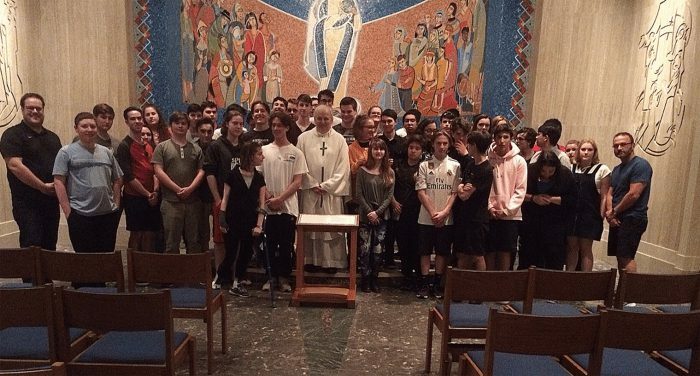 In support of Oblate ministries, formation and education are conducted through presentations, workshops, participating in panels, writing and distributing articles and other resources through the website www.omiusajpic.org and social media portals. These efforts sometimes take place through the preparation of specific brochures, handouts and materials on specific topics and international observances. 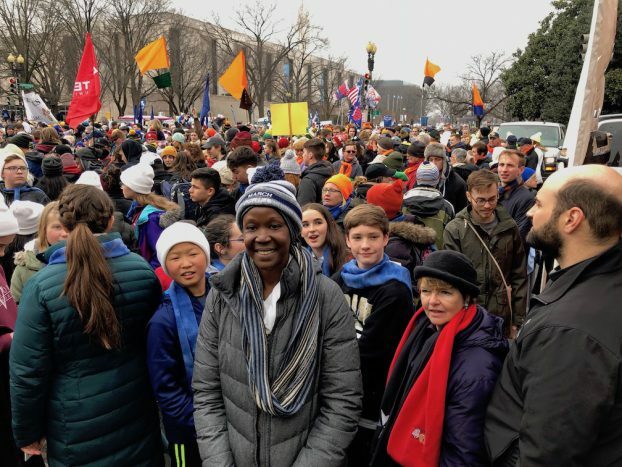 In the United States, Oblates around the country are involved in Faith-based Community Organizing – a congregation based, activist organizing tool to bring about social and economic justice. The US JPIC Office develops occasional publications for use in parishes and the community on a range of topics. 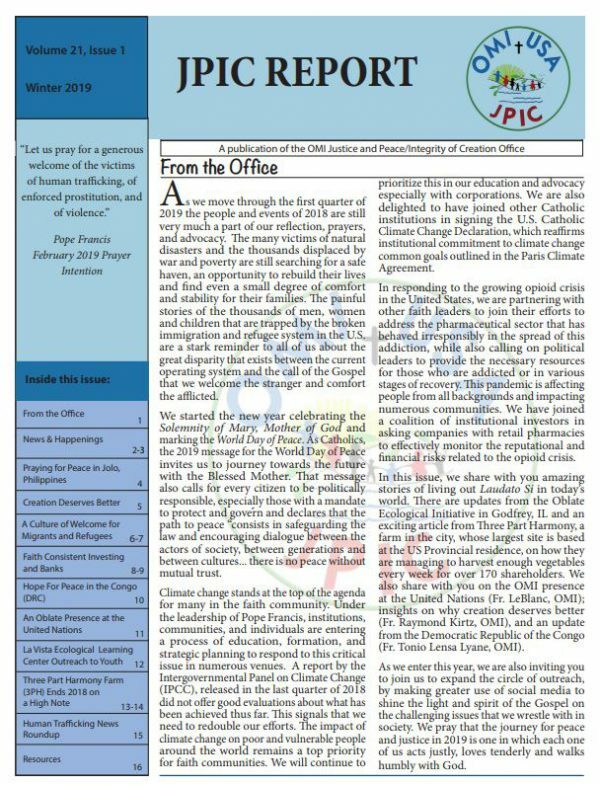 JPIC Report is the twice-yearly newsletter of the US Oblate JPIC Office. We also issue action alerts to encourage Oblates to take specific action on developing issues. Through our Weekly Update, news posted on JPIC’s website is compiled weekly and shared via email. Being available to receive visitors at the office, including international visitors, and responding to requests from Oblates and collaborators are also an important part of the JPIC mission. Celebrated Liturgy and gave a presentation on “The role of religion in Global Politics” at the Catholic University George McLean Center Institute conference. Taught two classes on “Immigration and Ecology in the Pope Francis Era” at the University of the District of Columbia. Chaired the fall meeting of Interfaith Center on Corporate Responsibility – ICCR. 2nd Laudato Sí: “Nature, Society, Markets Roundtable”: Made two presentations to multidisciplinary leader’s session on Laudato Sí and Faith Consistent Investing. Visited St Mary’s Star of the Sea, an Oblate parish in the Leith district of Edinburgh to discuss JPIC issues. Met with Investment committee of the Australian Oblate province and with Oblate scholastics. “Faith and Finance” presentation plus meetings with corporate leaders in Silicon Valley. Here are some of OIP’s engagements in 2018-2019. Fr Séamus continues to work with the Vatican bank and with Cardinals Turkson and Nichols on the construction of Faith Consistent Investment Guidelines for the Vatican and the church. Participated in the Annual AFL-CIO “Big Tent” conversation on Corporate Reform Responsibility. 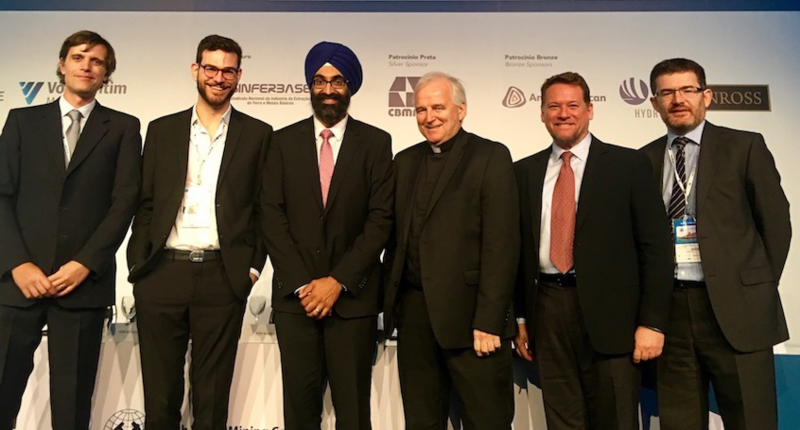 Participated in the Ecumenical Church Investors Group conference on Artificial Intelligence; Robots; Deforestation; Human Trafficking. Participated in the Development Partner Initiative (Responsible Mining) advisory committee meeting and workshop. Participated in UNIAPAC 26th Global Conference on “Business as a Noble Vocation” in November 2018. Presented at the International Mining and Resources Conference. Collaborates with other NGOs to promote peace, justice, an ethic of consistent life, and the integrity of creation through our educational outreach. We also share concerns about the impact of policies on the poor with the US government, and international institutions such as the World Bank, the IMF, and the United Nations. Why do Missionary Oblates support an ecological initiative? It is the mission of the OEI to deepen human relationship with our planet, knowing that as we care for the integrity of our planet, we are caring for all people who live here. and the Community Supported Garden at La Vista. La Vista is located on the grounds of the Immaculate Heart of Mary Novitiate in Godfrey, Illinois. 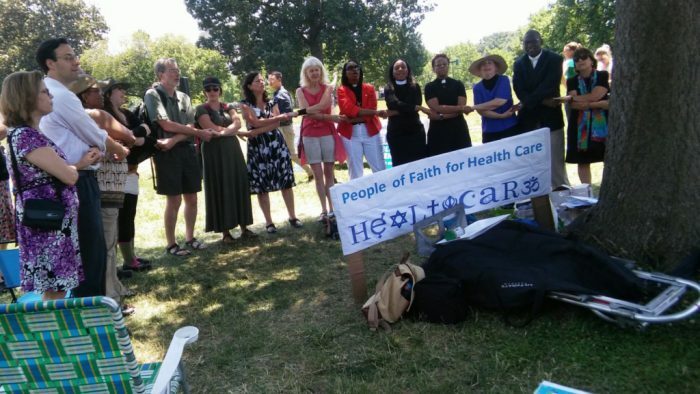 These 255 acres provide ample opportunity to connect people with land in an effort to deepen our relationship with Earth, healing the division between people and planet which has resulted in our ecological crisis and is a type of spiritual poverty. This is a key focus of the Learning Center: to help people see the Creator in all of Creation and to treat the natural world as truly sacred. Hospitality: Just as Oblates generously and faithfully offer hospitality to people, they also deepen their relationship to Earth by extending that gracious relationship to the land that sustains them and all of us in being. Community: Oblates foster human community wherever they are missioned; they also recognize that land is a community to which they belong, resulting in respect and care. The Learning Center exists to educate Oblates and others in ecological awareness, grounded in the sacred story of creation. Educational and eco-spiritual efforts are focused in several areas: programs, workshops, study groups, speakers, seasonal celebrations, ecological restoration efforts, informational web site, semi-annual newsletter La Vista Visions and a monthly E-News. What follows is a sampling of our offerings. For more information on each area, visit our web site: www.lavistaelc.org. All around us evidence tells us that our current industrial perspective is harmful both to Earth and to humans. The corrective that is needed includes not only practical lifestyle changes, but also a shift in our basic understanding of what it means to be a human being on this rare and precious planet. This program offers participants an opportunity to explore the implications of this more expansive understanding of ourselves in the evolutionary process and our embeddedness in Earth’s sacred web of life. The Learning Center offers cooking workshops because we believe, as Wendell Berry says so well, “How we eat determines to a considerable extent how the world is used.” We encourage people to eat locally produced, organically grown, fairly traded, and animal friendly foods. Good for people and planet! Each year the Learning Center hosts celebrations at each equinox and solstice event, marking the beginning of a new season with ritual and an educational program. Pausing in our day-to-day lives to mark the movement of the sun in the sky aligns us with the cosmos, deepening participants’ appreciation of our amazing universe and our creative God. La Vista Visions is the Learning Center’s semi-annual newsletter containing reflections, articles, practical tools for a sustainable life and the calendar of events. The monthly E-News contains an eco-spiritual calendar, and notices of upcoming programs. To subscribe e-mail us: info@lavistaelc.org. From Promised Land to Holy Land to our Common Home, people of faith have consistently connected their relationship to God with a relationship to land. This has been especially true of the Oblates at La Vista. ‘Each year sees the disappearance of thousands of plant and animal species which we will never know, which our children will never see, because they have been lost forever. The great majority become extinct for reason related to human activity’( LS 33). ‘ We are not God. the earth was here before us and has been given to us…Each community can take from the bounty of the earth whatever it needs for subsistence, but it also has the duty to protect the earth and to ensure its fruitfulness for coming generations’ (LS67). The Missionary Oblates Woods Nature Preserve is a 15 acre area dedicated in the Illinois Nature Preserve System since 1993. OMI novices, along with a dedicated group of volunteers maintain the area by removing invasive species, assisting in prescribed burns, and removing trash. In 2000 in collaboration with the Great Rivers Land Trust, the Oblates sold the development rights to 143 acres of oak, hickory and maple forest at La Vista. This land will be preserved in perpetuity, protecting the watershed, providing habitat for native wildlife, and countering climate change by sequestering carbon. In 2012 A forest inventory was completed by students of neighboring Principia College, gifting us with an evaluation of this forest and a maintenance plan. In 2014, in response to threats to the monarch butterfly migration and bee colony collapse, La Vista created a pollinator garden. Since pollinators are responsible for every third bite of food we eat, and because their disappearance creates a hole in the ecosystem, we consider this effort important in contributing to the integrity of creation. We understand that monarch butterflies are migrants as they travel from the North to Mexico and back yearly. We are happy to provide milkweed, necessary for their development. 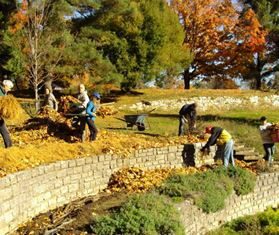 Volunteers weeded and seeded a 6,000 square foot area. An Eagle Scout troop made four benches for the garden. We continue to develop this garden each year. The Community Supported Garden at La Vista serves as a source of renewal for human, social and physical health by providing nutritious food, by the building of a diverse community, and through the practice of social justice. We demonstrate a model for diversified, sustainable, small-scale community supported agriculture through responsible stewardship of the land and by supporting our farmer with dependable and just compensation. We respect the soil, water and air through organic methods of growing, by conserving water and by reducing fossil fuel emissions into the air. Each year since 2003, the Garden has supplied over one hundred families with sustainably grown vegetables. In line with the Oblate mission to those living in poverty, ten per cent of the shares is reserved for those who cannot afford to pay for a full share. 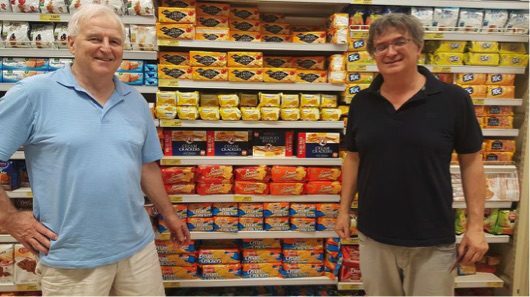 In addition, excess produce is donated to the Alton Crisis Food Pantry. Learn more about the Garden here: www.lavistacsa.org. 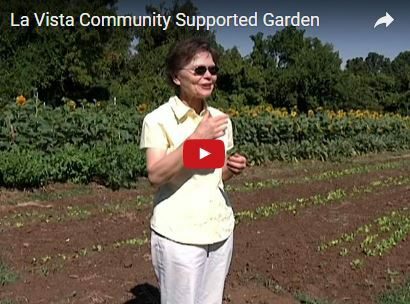 In this four minute video, La Vista Director, Maxine Pohlman, SSND, gives a brief tour of the garden explaining the benefits of community supported agriculture, and how the project affirms the Missionary Oblates’ commitment to preserving the integrity of creation.